Former First Minister Alex Salmond has been compared to President Donald Trump and ex-UKIP leader Nigel Farage. 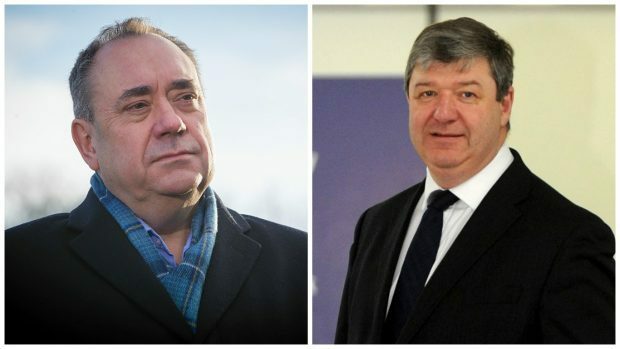 Orkney and Shetland MP Alistair Carmichael drew comparisons between the politics of the three men as he addressed the Lib Dem Party conference in Perth earlier today. He told delegates: “Let us be quite clear about this. The answer to nationalism is never more nationalism. “Dress it up any way you like but nationalism is still nationalism. Alex Salmond will tell you that all he wants if for decisions about Scotland to be made by people living in Scotland. He continued: “Nationalists will talk about values but ascribe them to a particular country or people. “We all remember the misty eyed rhetoric during the referendum about ‘Scottish values’ of community, inclusion and even compassion. “Just think about that for a second. What does that mean? Do they really believe that all Scots hold these values or that only Scots can hold them? Mr Carmichael’s comments come after London Mayor Sadiq Khan was accused of comparing Scottish nationalism to racism at last month’s Scottish Labour party conference in Glasgow. Writing in a national newspaper, Mr Khan claimed that nationalism is effectively the same as “trying to divide us on the basis of background, race or religion” – although he later said he did not mean to infer that Scottish nationalists are racist. In response to today’s remarks, Mr Salmond said: “When Alistair Carmichael insults the SNP he insults the huge number of Scots who vote SNP.